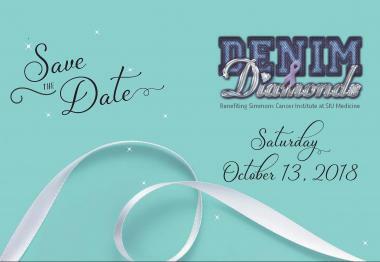 Denim & Diamonds provides the seed funds for critical and innovative cancer research, compassionate patient programs and further address the growing needs of our patient population. The members of the Cancer Care Teams of Simmons Cancer Institute at SIU (SCI) view the physical aspect of cancer treatment as only part of our approach to care. Our commitment to patients is to heal the whole person -- not just treat the disease. With our unique approach, we aim to fight cancer on all fronts and with every available resource. Research, a key component of SCI, is a distinguishing feature of our cancer program, which makes it unique to our region. The dollars you give save and improve lives everyday…and offer hope.